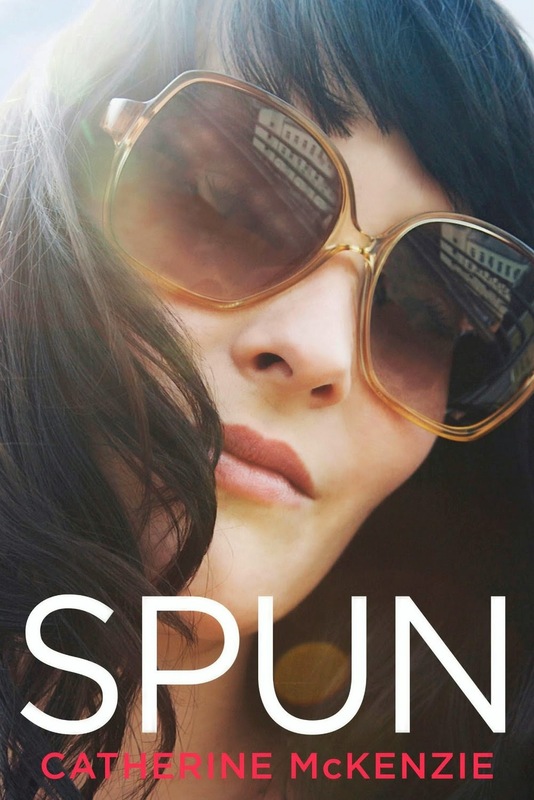 We first met Amber, former Hollywood "It" girl, in Catherine McKenzie's debut novel Spin. Amber is back in Spun and she's been sober for two years, but unfortunately no one believes her and the paparazzi are more than happy to perpetuate that falsehood. Amber has fallen from grace and all she wants is to get her life back. It certainly doesn't help that her former love, Connor Parks, won't leave her alone. Amber still loves him but she doesn't love his addictions and she's trying to separate herself from him for good. One night Connor temporarily breaks through her defenses and she joins him on his private jet. This single action will have devastating consequences that she could not have predicted at the outset. Although I have enjoyed every single one of Catherine's novels I will readily admit that Spin remains my favourite to date, most likely because I really loved the characters from that novel. I am so glad that Catherine decided to write a follow-up novella. I have definitely wondered what happened to all of the characters from Spin! Wow! Reading Spun was the literary equivalent of riding a roller coaster! I had no idea what to expect when I started reading the novella but I can assure you that I was surprised throughout! There were twists and turns that I couldn't have anticipated and the resulting story was juicier than a gossip magazine! I'm really happy that Catherine chose to write this follow-up novella but I'll admit that my greedy self wants more! I would love to read another novel about the characters that we originally met in Spin, or a spin off featuring one of the secondary characters as a main character (Olivia, hint, hint!). My thanks to the author and the publisher for providing me with a copy for review! Sounds good. Haven't read Spin yet though. Glad you enjoyed it. :) I'll be reviewing it next week. I agree about wanting more.